I am a runner. I ran my way to health. I ran my way to sanity. I ran all through graduate school. 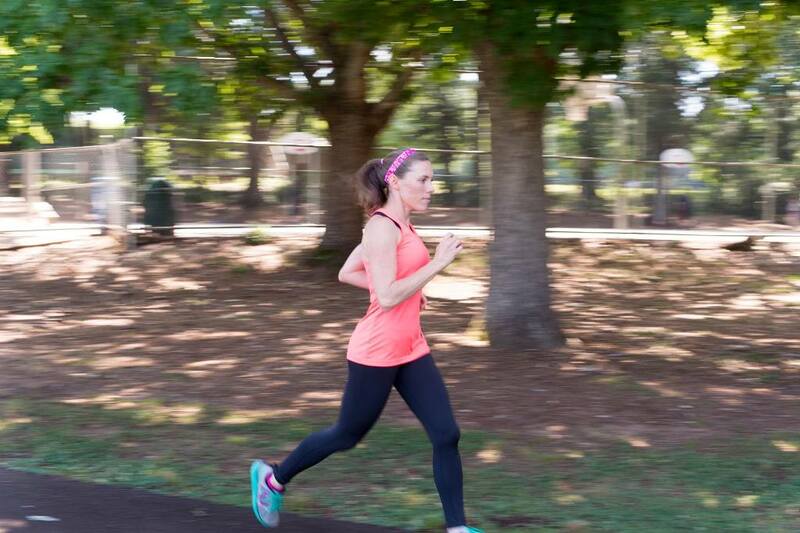 I still remember my first 5k, my first 10k, my first half-marathon. And just last year, I ran my first marathon. During my training, I did the unthinkable. I pushed myself too hard in a…wait for it…YOGA class. Give yourself a second to stop laughing at me. So, yoga. I went to a class with my running buddy right after a spectacular 18 miles the previous weekend. All was fine, until I decided to push myself a little too hard, and completely trashed my poor right leg. My next long run let me know it was a definite strain. I was furious. I didn’t throw in the towel that close to the race, but it took A LOT of tears to make it there. I hobbled those last 3 miles of 26.1, but I finished. First marathon in the books, and now I was burnt out. I was frustrated at my leg. Uncertain about my body’s ability to do it’s job, and over pushing so hard. At the same time I was struggling to find my place in our business. I knew I didn’t want to be just a book keeper and marketing director forever. But I wasn’t ready to trust myself as a trainer. It just didn’t feel right. I studied for the National Academy of Sports Medicine certified personal trainer test, thinking this would be a fantastic refresher for the MS in Kinesiology I had obtained in 2010. It was not. And I wasn’t thrilled with the format and prescription of exercise. I felt like a square peg in a round hole. I sat for the test and FAILED by one little point. I couldn’t believe it. I have all this education and could not pass a silly certification exam?! I was really bummed and embarrassed. Not to mention still completely lost as to my place in our business. Thankfully, I have an amazing partner (business and life) who encouraged me to attend a MovNat workshop. This would be my first trip solo since my second child was born, and also my first EVER movement/fitness workshop. I was terrified, but ready. I knew it was time to shake things up. And it did not disappoint. I was fortunate to attend my first ever MovNat experience in March 2017 with none other than the COO of MovNat, Danny Clark. He was extremely knowledgeable, passionate about movement, kind, and I had never seen a man of his size move so GRACEFULLY. Seriously. More importantly, I found out my trainer had been slipping MovNat into my training for awhile, because I wasn’t the newbie mover I anticipated. I could do a lot of what was taught, and I LOVED IT! 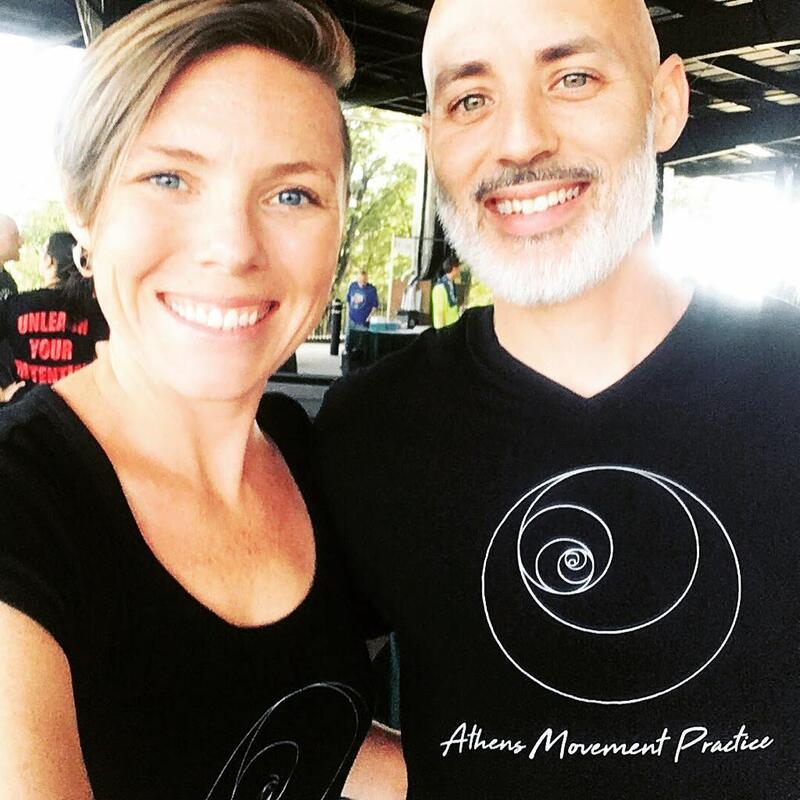 From the movements to the teaching style of MovNat, and the phenomenal movement practitioners and educators I met that weekend; I had found home. This was me. I wasn’t a ‘trainer,’ I was an educator. I always have been. This was exactly what I was looking for in movement, how to educate others. I was so hooked by the end of that weekend I immediately signed up for the Women’s Only Level 1 certification course being offered just two months later in New Mexico. The instructor was Abby Clark, one of the first women to achieve Level III, and a badass mover. I could not wait to level up. My experience in New Mexico for my Level I certification deserves an entire write-up all of its own. It was so much more than MovNat. It was community with other badass women. There were moments that I was pushed well beyond where I thought I could be physically, and moments I found myself growing in other ways. Like the workshop, I met other movers that inspired me, encouraged me, and ultimately welcomed me into a community of movement I had never experienced before. It was physically demanding, mentally challenging, and a life changing adventure. I will forever be thankful for the instructors, Abby and Dr. Christa Whiteman, as well as every single woman there. I came home inspired and ready. I jumped into offering outdoor classes in the middle of Summer in Athens, Georgia. We don’t need to discuss how swimmingly that went. LOL. Suffice to say, as a native Southerner, I should have known better. I re-took my NASM CPT exam, and PASSED. I journeyed through some personal shifts that have been both soul crushing and heart opening. I began offering personal movement training. And this fall I helped us re-brand from AMP3D to Athens Movement Practice. Each of these moments I link back to MovNat. The initial shift. The recovery from an injury through better movement. The transition from gymming to moving. The exploration of the outdoors and my presence in my own life. This past October, not 5 months after my Level I certification, I was handed an indescribably awesome gift, the opportunity to level up again. After completing a MovNat survey I WON a chance to obtain my Level II certification. This is something I had dreamed of, but knew we would not be able to financially cover for some time. And here it was gifted to me. I am beyond grateful and excited. I am training. I am moving. I am learning things I never imagined possible. And this time, I will be ready to bring MovNat to Athens, Georgia. About The Author: Jessica Groves-Chapman, MS, PhD is a Mom, a Movement Educator, and the Founder & CEO of the Athens Movement Practice in Athens, GA.
What a fantastic and inspiring story Jessica! Such a great a read- I was enthralled and engrossed and so honored to play a small role. Thanks for being part of the this tribe! Great article, but why so condescending towards yoga? Not to reply on Jessica’s behalf, but I read that as her taking responsibility for pushing herself too hard in a yoga class. I don’t read any disrespect. So many in our community are yoga enthusiasts – and for good reasons – so, I don’t think it was meant as a stab! In MovNat, we openly discuss our differences in philosophy compared to yoga (and other modalities), but there’s certainly much to appreciate as well! Cheers! So great to read this! I started my MovNat journey a couple of months ago for similar reasons and will be doing my L1 in Feb with Danny too. Thank you so much for sharing your inspiring story so candidly Jessica!